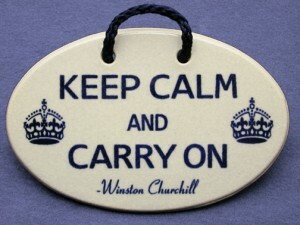 Mountain Meadow Pottery offers 2 fabulous versions of the famous saying, Keep Calm and Carry On. Mountain Meadow Pottery makes buying gifts easy and a great deal. If you buy 3 plaques you can pick a 4th and get it for FREE. Click here to find out more.